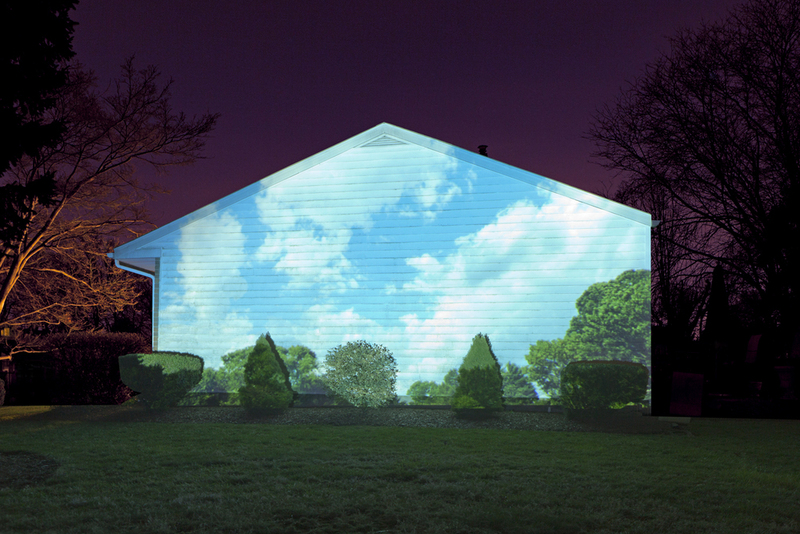 Within this series, I used a digital projector and a laptop to project photographs of natural scenes onto the sides of houses at night or onto myself. 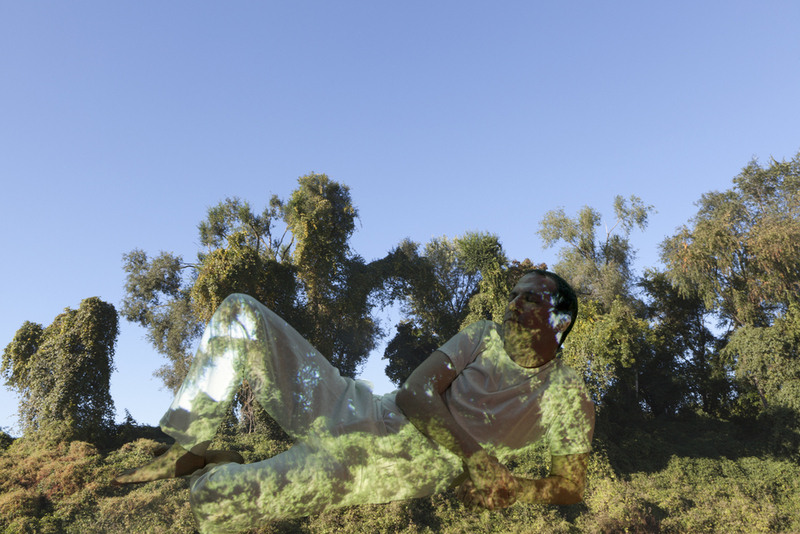 After projecting the images on to myself I then re-photographed, extracted, and placed just the images of myself back into the natural scene being projected. In this body of work, I show houses returning to nature and myself in harmony with nature in an attempt to reconnect with the natural world. My life-long love of the outdoors and gardening creates this longing for things to return to their natural state. The Japanese use their word, satoyama. a concept that asserts that nature must have space in the world, and so areas must be set aside so both man and nature can live in harmony.